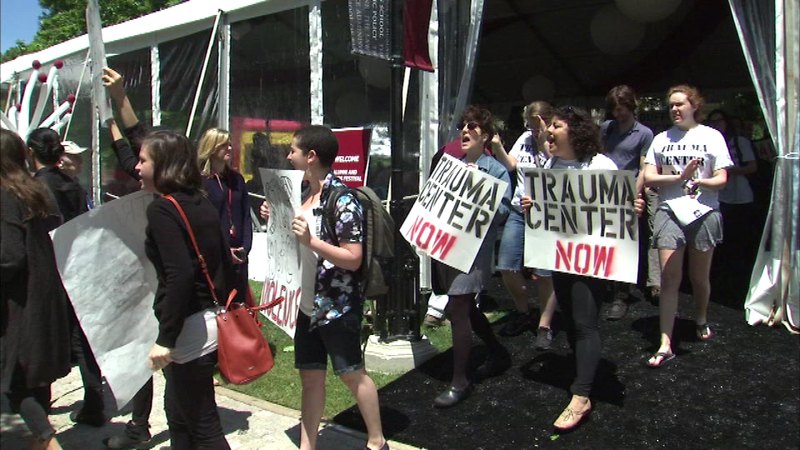 CHICAGO (WLS) -- Demonstrators gather Saturday outside the Medical Center at the University of Chicago rallying for a new trauma center. Protesters are demanding a Level One trauma center for adults because the closest one is in Oak Lawn. A University of Chicago Medical Center official said the hospital has taken steps to improve access to medical care for the South Side.